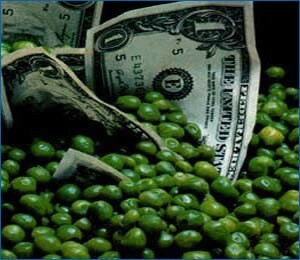 Most pea processors pay their growers based on the Tenderometer value of the peas delivered to the processing plant. A Tenderometer Unit is a direct measure of the maturity and quality of the raw product being supplied, analyzed in bulk. As with any food texture measurement, preparation of the sample is critical in producing reliable results. First, a sample of raw shelled peas representative of the lot to be tested must be obtained. The sample size should be at least two to three times that required for testing. An average of five readings on each sample will minimize errors due to normal field and sampling variables. Wash the sample with room temperature water to remove extraneous material, under developed peas and assure uniform temperature. 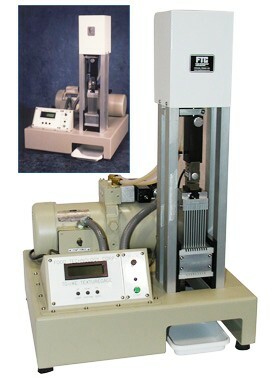 On all modern FTC Tenderometers, the operator simply fills the Test Cell and slides the box and lid into place. The auto cycle function allows for one button operation of the system by simply pressing the “START” button. The speed is preset from the factory so that the down stroke is 30 seconds. At the completion of the test, the system automatically resets for the next test and the operator records the peak force in Tenderometer Units.